Home security monitoring can be an expensive monthly fee for many people. Where it provides value, that’s probably worth it for the peace of mind, and knowledge that if something were to happen emergency services would be notified. Not everyone wants this, can afford it, or even if they do – live in a neighborhood where emergency services can be responsive enough to be of use. That’s where an approach like Safe comes in. In their model, your neighbors are your first point of contact if something happens, and I think it makes a lot of sense. They are close by, have an interest in making sure your house isn’t burgled, doesn’t burn down, etc. The biggest problem is getting them to buy into the program, but obviously if everyone is in, there is amazing value there. 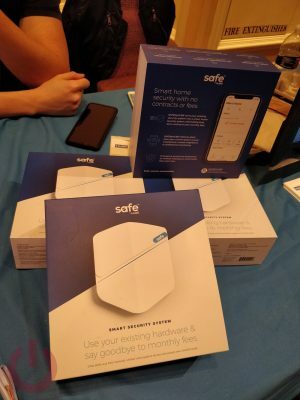 Safe is a hardware only system. You spend $249 to buy the kit, install it (the hub emulates a DSC or Honeywell keypad), and you’re good to go.